MIT Institute of Design conducts Design Aptitude Test also known as DAT 2018 for the admissions to the UG/PG courses with specializations in Design and Arts. The last date to apply for the same is 28 February. The candidate who wings their career in the field of design and enhances their creativity by being a professional designer can apply now following the link given in this page. Scroll down to have a succinct view of MIT Institute of Design. Latest Update: Candidates are informed that the dates of MIT Institute of Design have been revised and updated on this page. Candidates can scroll the page to view the revised schedule. MIT Institute of Design is a constituent unit of proposed " MIT ART DESIGN & TECHNOLOGY UNIVERSITY " a self-financed state private university as per Act passed by Government of Maharashtra published in the Gazette dated August 21, 2015. MIT ID is now a member of Cumulus.Cumulus is the only global association to serve art & design education & Research. MIT ID is also a member of World Design Organization(WDO) is an international non-government organization that promotes the profession of Industrial Design. For admissions into MIT Institute of Design, the candidate must meet the following academic criteria. Candidate must have passed from any board in their respective board examination. Note: Candidates appearing in their class 12 or final year examination are eligible to apply for B. Des and M. Des respectively, however, the admission will be considered once they will clear the respective examination. Applicant has to score well enough in the Design Aptitude Test followed by the Personal Interview conducted in the MIT Pune Campus. MIT Institute of Design Registration and Application process has been started. Applicants have to apply online for the admissions to the Bachelor Programs. 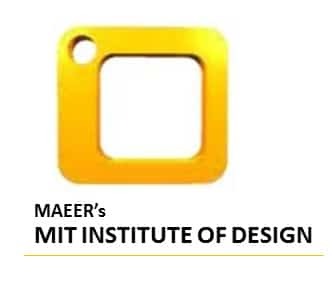 MIT Admission 2018 to the MIT Institute of Design will be conducted on the basis of the Design Aptitude Test also known as MITID DAT 2018. Applicants can apply for the MIT Institute of Design DAT 2018 via the link given below. Step 1: Register: An automated verification link will be sent to your registered email ID. Activate your account by clicking the link. Step 2: Fill the details: Provide the required details in the application form. Step 3: Upload: Candidate has to upload the required documents accept the declaration and submit the online application form. Step 4: Make Payment: Applicants can pay the application fee of the MIT Institute of Design Application Form either online (at the time of filling of application form) or offline via Demand draft. Online Payment: Applicants have to pay the application fee Rs. 3360 via Credit Card/Debit Card/Net Banking at the time of filling the application form. Offline Payment: Application fee can also be paid offline via Demand Draft of Rs. 3360 in favor of MIT ADT University-MIT Institute of Design, Payable at Pune. The candidate has to write their names behind the demand draft & sent it to the following address. Hard copy (print out) of filled in MIT Application Form. Demand Draft in favor of MIT ADT University-MIT Institute of Design, Payable at Pune should be attached in front of the form with the name of the applicant written on the back side of the Demand Draft in case payment by DD. The applicant paying the DAT fees online has to send the hard copy of the form with photograph pasted on it. The complete set should be sent by speed post (preferably) or courier to the address given above. MIT Institute of design has the following fees structure for the academic session 2018-19. Candidate can pay their application fee via credit card, debit card, net banking and through demand draft. Note: The above-mentioned fee structure is for the 1st-year program, there will be a rise of 10% in composite fees every year. Candidates shortlisted on the basis of their scores obtained in Design Aptitude Test will be called for the second phase which includes Studio Test and Personal Interview at MIT Institute of Design campus in Pune. Phase - 1: MITID-DAT (Design Aptitude Test): Based on scores obtained from MITID-DAT, shortlisted candidates will be called for the second phase. Phase – 2: Studio Test and Personal Interview: It will be conducted at MITID campus in Pune. The second phase of the admission procedure will consist of studio tests followed by personal interviews at MIT Institute in Pune. The Admission Committee decides the procedures, grades, and weightage every year. The norms for the selection are the sole prerogative of the Admission Committee and the decision of the Admission Committee and the Management in any of the matters concerning the admission process and selection will be final. The MIT Institute of Design grants full or partial scholarships to 5% of the total students each year. It depends on their performance and financial need. The student once admitted to MITID can apply for the scholarship program.